Homecoming 2017: Building a Legacy is almost here which means tons of chances to celebrate the many legacies of Illinois State through various events and programs. There is also one special legacy Illinois State Homecoming has each year for students—student Homecoming court and the selection of Homecoming king and queen! Ashley Shannon and Jaylon Joyner react to being crowned 2016 Homecoming student king and queen. Students who are a sophomore, junior, senior or grad student can be nominated by themselves, another student, or an Illinois State faculty or staff member. 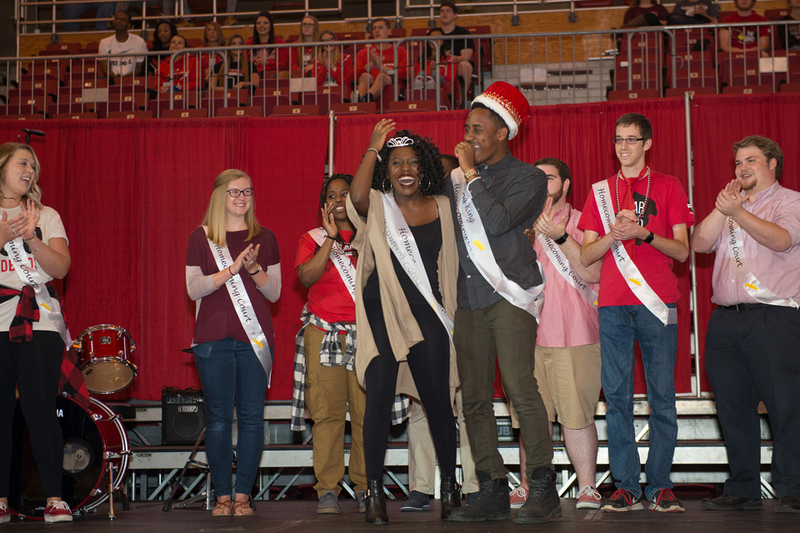 Those who believe they know someone who is a proud Redbird student and positive impact on campus can submit royalty nominations through the Homecoming royalty website by Thursday, September 28. Nominees can also have been a member of a past Illinois State Homecoming court as long as they were not selected as king or queen. Homecoming court will be announced on Monday, October 16 at Kickoff on the Quad. Voting for Homecoming king and queen will open through MyIllinoisState following the announcement and close at noon on Friday, October 20. The king and queen will be crowned on Friday, October 20 in Redbird Arena prior to the beginning of Hoopfest. 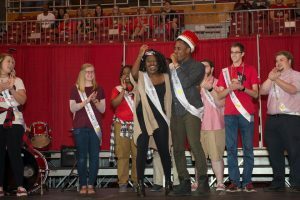 Any questions regarding Homecoming court, king and queen, or Homecoming 2017 can be sent to Alumni@IllinoisState.edu.